Locally and family run auto repair facility 25 years in the making, specializing in collision work as well as restoration, fabrication, welding, detailing and paint. More than just Mechanics, the trusted technicians at DME Auto Service are certified and experienced in all types of auto repair services including brakes, engine, transmission and just about anything you can image. We recognize that your vehicle is one of the largest investments you will ever make. We protect this investment by performing repairs that return your vehicle to its pre-accident condition. When the time comes for you to sell or trade your vehicle, you will not lose a dime because of a poor quality repair. Fix Auto North Kitsap repairs all cars foreign and domestic to factory specifications. Hudson Auto Center has convenient locations in Poulsbo and Bremerton. Looking for your next used car/truck? Our inventory of used cars and trucks changes daily. Don’t see what you are looking for with our current inventory? Give us a call and we can find your next vehicle. Looking for a professional Service Department to work on your car? Hudson Auto Center’s certified technicians are here to assist with all your vehicle repair needs at very competitive rates. Call us today! Kitsap Towing was established in 1993 serving the community with quality towing and roadside assistance to stranded drivers. Our business has expanded due to customer satisfaction and our caring and dedicated staff that we are thankful to have! Ever since Les Schwab opened his first tire store, our business has been about earning your trust. We strive to bring you the best selection, quality and service every time you walk through the doors. When you purchase a set of tires from Les Schwab, it only marks the beginning of your relationship with us. About the Business: Liberty Bay Auto Center has top rankings from the American Automobile Association (AAA) and has been named “TOP SHOP” by AAA for the last 15 years. Liberty Bay Auto Center has been voted West Sounds Best Dealership in Kitsap County for the past 10 years consecutively as well as placing in the top three each year in KING5 TV's voting of “Best of Western Washington Independent Auto Dealer”.Liberty Bay Auto Center has also received “Five Stars” from the EnviroStar for our environmental work. Besides the use of Solar Energy we store and use, we also use LED lights inside and outside and replaced florescent tubes with T8 energy-saving tubes. 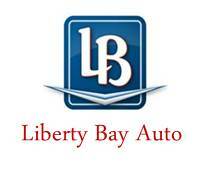 All vehicles sold at Liberty Bay Auto Center are delivered with a 48 hour 100% money back guarantee, a 90 day warranty/3000 mile warranty, a full tank of gas, a second set of keys and their first lube, oil and filter service is free, to ensure miles of smiles. Liberty Bay Auto Center is known for its complete service of every make and model, which includes a thorough washing and vacuuming of your vehicle with every service. Every car that leaves Liberty Bay Auto Center is always cleaner and happier than when it arrived.Liberty Bay Auto Center's motto is that we are “The Friendliest Car Store on the Planet,” and that’s another reason why we are so successful. We look at all of our customer's as a long term relationship, not just a one-time sale. Generations have done business with us in Sales and Service. We know families personally and we have watched them as they have grown. It’s like we’re all just one big happy family. We love our community and they love us.Our greatest asset is our positive reputation and the people who made it and maintain it. Our outstanding reputation has stood the test of time and for over 27 years and it is growing as fast as our community. The Port of Poulsbo operates a first-class destination marina, the Poulsbo Marina, for both recreational and commercial vessels. Its popular mountain views are surrounded by numerous recreational opportunities; and natural, historic, scenic, cultural and dining pleasures. Separated from the main body of Puget Sound through a narrow passage, it is indeed a safe harbor in a storm and is protected from the gales associated with this area. Family, Community & Civic Org.